We find out more about our Local Content Advisers, starting with Peter Rampellini from the Goldfields-Esperance region. Local Content Advisers (LCAs) provide advisory and referral services to businesses in regional areas, supporting them to compete for State Government contracts. There are nine LCAs based in Regional Development Commissions across the state. Over the next few months, we will introduce each of our friendly LCAs, so you can get to know them and the services they offer. 1.What drew you to the role of Local Content Adviser? I wanted to be able to help regional people, through their regional business, to gain state government contracts. I think this is important, as I believe that local people have a sense of pride when they are doing work locally and will go that extra mile to help - this has certainly been born out since I’ve been in the Goldfields – Esperance region. 2. What do you love about your region? I love that the people in the region are so friendly and are always willing to help you. We have a lot of different types of geography to explore ranging from rugged coastlines, tranquil beaches, National Parks and bushland. There are also plenty of opportunities for new businesses in the region and they need to move here to take advantage of them! I was a part of the Sydney 2000 Olympics. I worked as the Transport Manager for the media at the event. Now, I love watching all sports and have recently given up playing indoor soccer and cricket as I’m getting too old for that now. 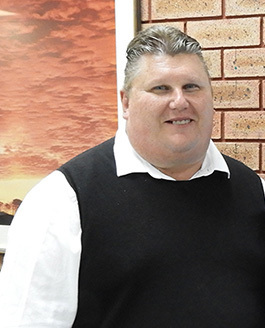 Peter is based in the Goldfields-Esperance Development Commission (GEDC) offices in Kalgoorlie. However, he frequently travels around the region visiting a variety of stakeholders. Peter will be running a How to do Business in Kalgoorlie-Boulder procurement workshop on 6 December 2018. The workshop will focus on providing tips to local small and medium enterprises and Aboriginal businesses on tendering and contract opportunities, procurement processes, compliance requirements and capacity building funding opportunities. You can register for free here.